Indecision is likely early today. We might need to make adjustments to our expectations if we’ve been overshooting. 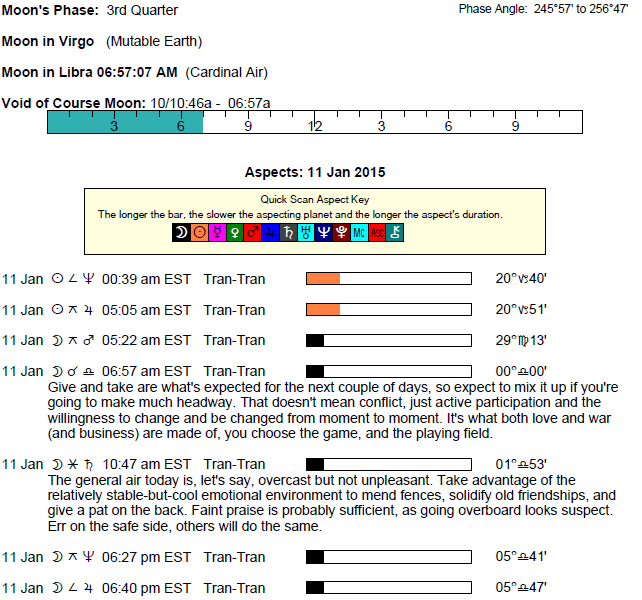 The Moon enters Libra at 6:56 AM EST, and we become especially interested in harmonizing with others. Mercury and Saturn are moving to a parallel position, and we can benefit from realistic, practical thinking. The Moon is in Virgo until 6:56 AM EST. The Moon is void until 6:56 AM EST (since yesterday at 10:45 AM). 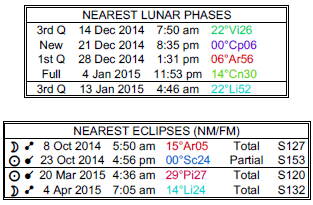 The Moon is in Libra from 6:56 AM EST forward (until Tuesday, January 13th at 6:43 PM). The Moon is in its Waning Gibbous phase. You could be carefully considering a friendship or group association today, dear Aries, and assessing it in practical terms. Alternatively, you may be seeing the reality of a certain path you’re taking and recognizing the need to make adjustments to your plans. Responsibilities to others can make themselves known now, or your mind could be turning to feelings of being indebted, and you want to balance things out. You could also be feeling a little vulnerable or lonely but not especially able to express these emotions. While it’s important to listen to advice and to pay attention to news, as there could be some solid and helpful wisdom coming your way now, also spend some moments loosening up a little if you begin to feel all wound up. There may be a strong call to duty today, dear Taurus, as responsibilities become clearer, and there seems to be a stronger need for organization, realism, and discipline. There may be legal decisions to make, or ethical questions raised. Generally speaking, we tend to be taking things at face value rather than tuning in to the finer and subtler aspects of things. Career projects may be subject to scrutiny, and flaws may be revealed now that need fixing. However, you can be very much in the mood for taking care of business right now, and in fact, you could feel strengthened by a sense that you’re in the know after a few days of not especially knowing where you stand. Avoid thinking on the lines of “should haves” and “could haves” today, dear Gemini. After a rather uncertain morning, today is about what is – facing realities and realigning your thinking and your plans accordingly. This may be exactly what you need right now. You have the powers of practicality and patience on your side when it comes to making decisions or commitments today. While your thinking has recently been very big and broad, life asks you to fill in some important details today, and you’re very equipped to do so – you may in fact thoroughly enjoy going over finer points. Others are seeing you in a good light right now, and may seek you out for advice. Some introspection can do you some good today, dear Cancer. 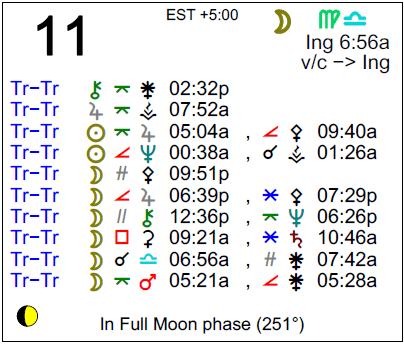 The Moon moves into your home and family sector this morning, promoting a naturally more reclusive mood. As well, Mercury in your solar eighth house is supported by serious Saturn, giving you some pause to think about what attitudes may need changing in order to more effectively go after what you want and need. Decisions about financial matters may need to be made now, and it would be wise to weigh all of the pros and cons, as commitments entered into today can be long term and significant, and may need revision or revisiting later. It’s a good time for finding ways to improve your finances by cutting back. The need to get serious arises, or a reality check is in order, and you could benefit from a more serious look at your closest relationships. While the morning can be wishy-washy, serious thoughts about relationships can figure strongly as the day progresses, dear Leo, or conversations with a significant other can have a serious/practical overtone. Decisions made now tend to be long-term ones. Practical concerns in a relationship tend to take higher priority with today’s energies, or you may be getting serious about a project that involves joint decision making. In fact, decisions made today tend to be better made with or in cooperation with a partner. There can be a tendency to honor and even hold on to the traditions of the past, and also to plan for future security. This is a day for getting smart and real about your associations. It’s back to business today, dear Virgo, as the morning’s confusing energy fades and solid, practical energy replaces it. This is a time that responsibilities weigh more heavily in your mind, or others remind you of them. You may be facing reality today, but in such a way that it feels good – you tend to feel stronger knowing where you and everything stands. There is freedom in seeing the truth and accepting it. Co-workers or work itself may be a little more demanding right now. There can be health concerns to deal with, but many of you could come into very wise advice about a health issue. People see you as more authoritative, competent, or “in the know” today. Facing realities can feel empowering today, dear Libra, especially after some confusing energy that left you feeling without a clear direction. You are far from starry-eyed right now, as circumstances seem to nudge you out of that dreamy state. Love relationships can have a serious or possibly heavy energy surrounding them. Commitments may be made or reconsidered. This is a good day for thinking about how to monetize, or add more structure to, a hobby, to make better use of your leisure time, and to cut out those things that interfere with getting the most out of your down time. Even so, with the Moon moving into your sign this morning, you are feeling emotions that you’ve previously brushed aside. This is a good day for thinking seriously about home and family matters, dear Scorpio, and also for solving practical problems. You may be seeing your responsibilities, particularly personal domestic ones, more clearly right now. Focus today should be on building, keeping in mind long-term goals. You could be feeling a little pressed to make decisions, but also quite equipped to make them as the day advances, after a rather foggy morning. There is realism and practicality in your decisions now. For some of you, there could be some serious thinking about the past, and possibly a feeling that things were better once upon a time. The Moon moves into your privacy sector this morning, and this brings a stronger need for quiet time for reflection and an emotional recharge of sorts. This is a day for translating recent ideas in real terms, dear Sagittarius. After a morning of fuzzy thinking, you begin to crave more organization, structure, and predictability. Fortunately, you are well-equipped to bring form to ideas, to draw up realistic plans, and to talk to people who can give you good advice or helpful information and tips. It’s a good day for concentration and focus, but not necessarily strong for light conversation or social activity, as you have more serious things to think about. If you need extra time to be thorough or to get something done, let others know that it’s about you, not them. Financial thinking is good right now, although you are inclined to hold on very tightly to money and possessions just for the moment. You’re likely to begin thinking about money matters a little more seriously today, dear Capricorn, and you can really benefit from your especially realistic perspective right now. You are a practical sign by nature, but you’re also human, so that dreams, desires, and wishful thinking can sometimes interfere with perfect money management. However, if you’ve been spending or living beyond your means in any way recently, today you’re emotionally and mentally equipped to turn your situation around. This will, by extension, increase your peace of mind. This can also be a good day for feeling valued and recognized, particularly for your mind. Your responsibilities are on your mind today, dear Aquarius. If you set up solid plans for taking care of your duties, or actually fulfill obligations, this doesn’t have to be a heavy or serious day. There is a need to be realistic, and perhaps to face a reality, which can lead to a stronger character and sense of being in control. Watch for being too self-critical. Some self-assessment, however, can be appropriate, as it can help motivate you to discipline yourself in order to take care of your priorities. Others may not be jumping to help you out today, but this fact can push you to fall back on your own inner resources, reminding you that you can be self-sufficient if need be. Increasingly, life is a little more private and introspective for you these days, dear Pisces, and today, you could be thinking seriously about the past, or reassessing recent events. There is a tendency to keep things to yourself, but you could have a bit of a heavy aura today as you think about more serious matters, and others may notice this. There can be a strong, even burning desire to put something to rest, to tie up loose ends, or to resolve a tricky matter. You typically are patient when questions don’t have answers and life is a bit of a mystery, but today, you are inclined to want to rationalize the irrational! If Your Birthday is January 11th, If Today is Your Birthday full horoscope here. This a time for dreaming rather than decision-making. Record your dreams and inspirational ideas. You may not have clarity right now, but it will come later. We can be quite clear where we want to direct our energies. We can easily become caught up in our personal interests and projects now. Dedication and narrow focus. Expectations are too high, or expansion/growth comes at a price now. Adjustments to plans may need to be made now. You find it difficult to adapt to new situations. You tend to be inflexible when faced with the demands of change and other people. You are pleasant and charming. You have a talent for harmonious relationships, for being able to achieve a balance of give and take in relationships, and for creating beauty around you. You have artistic and creative talents. Your mind can be alert and your speech rapid. Your ideas may be ahead of their time. 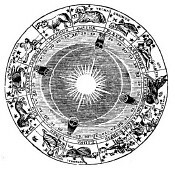 Sun 03° Taurus 56' 39"
Moon 05° Capricorn 50' 41"
Mercury 09° Aries 36' 59"
Venus 04° Aries 31' 54"
Mars 15° Gemini 53' 23"